I've taken a shine to larger statement necklaces, moving on from my super long pendant addiction now that I've built up a sizeable collection I seem to find myself lusting after chunky chains, bunting, embellished collars, large jewels and strung together pearls. Because of this I often find myself frequenting the likes of French Connection, Mango, Asos, Etsy and of course the always inspirational (and dangerous to your bank balance) Pinterest to source the latest oversized spikes and id chains. 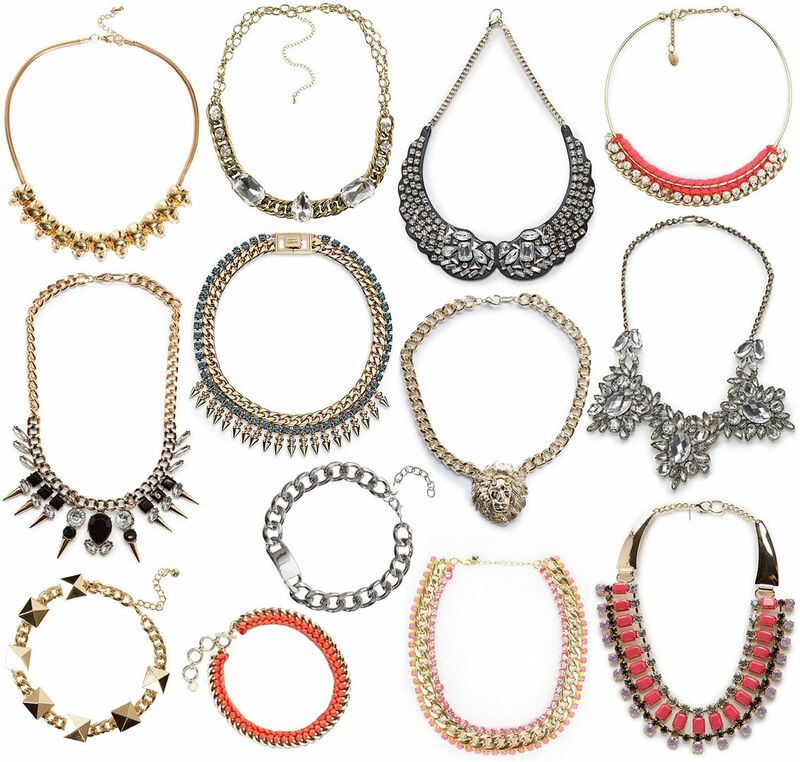 If you had to choose a favourite statement necklace which would it be? I haven't bought into this bandwagon yet (for once!) but still really wanting one of the chunky ID necklaces with a matching bracelet. Don't know if I could forgo my delicate, small necklaces though! I haven't taken off my sideways cross one for 3-4 years :o time for a change? !